Were you lucky enough to own some or all of the elite group of funds which made money for investors in 2018? 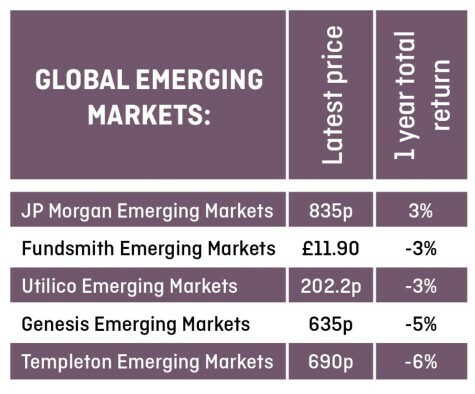 Only 22% of active fund managers across all types of funds delivered a return above zero this year, while a mere 36% of investment trusts delivered a positive return, according to analysis by AJ Bell. 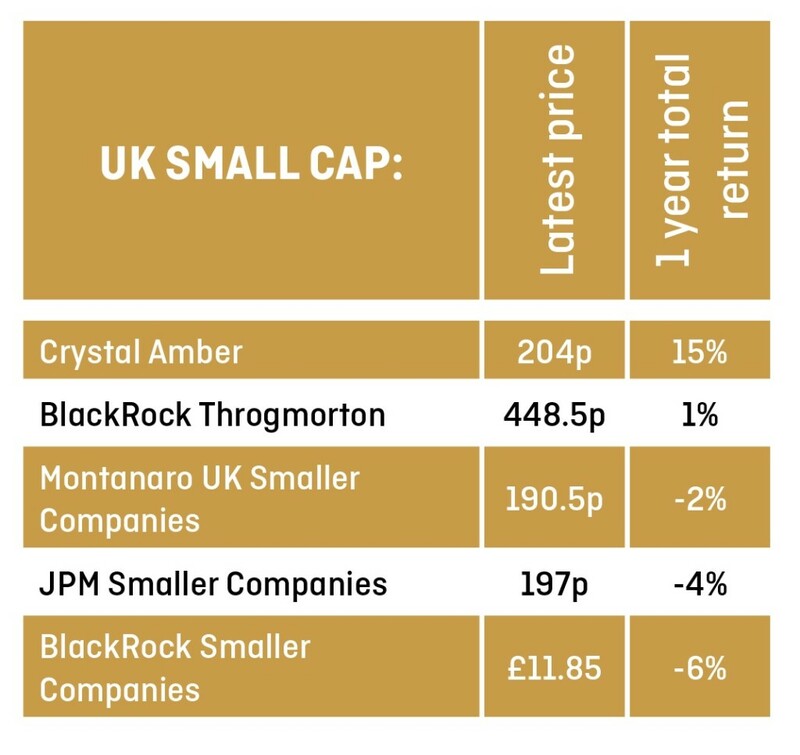 While life has clearly been tough, certain investment trusts stand out from the crowd thanks to their market-beating performance. Let’s now take a look at some of the best performers over the past year across different groups. This fund has a focus on high-quality companies which generate large amounts of cash flow and pay growing dividends. Investors have regularly been happy to buy the shares at a large premium to net asset value, currently 48.7%. 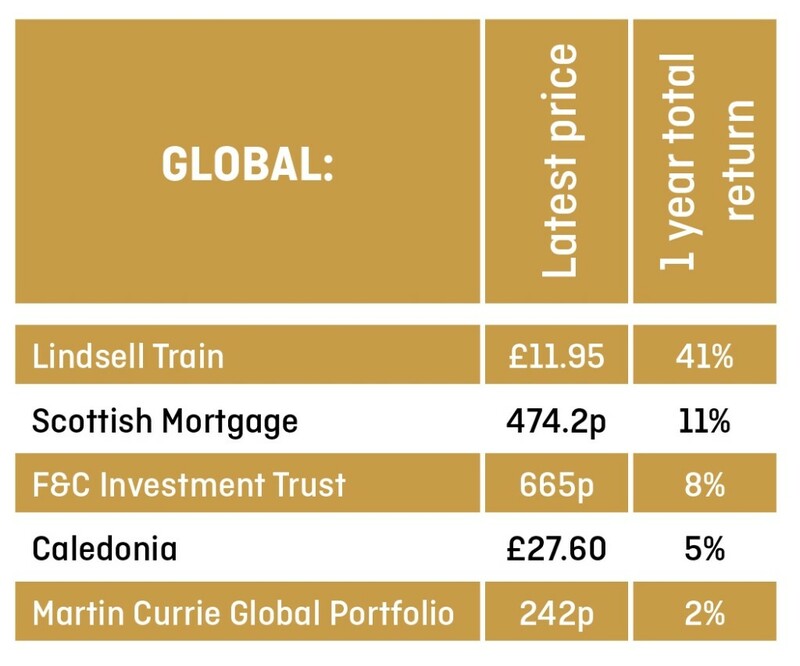 This is because they believe the trust’s large stake (accounting for 47% of its portfolio) in the unquoted Lindsell Train asset management business is grossly undervalued. 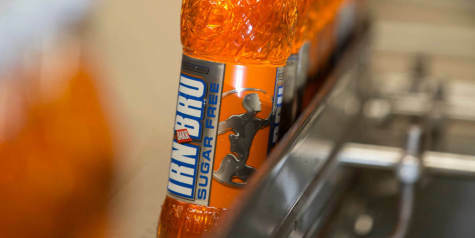 Some of the key holdings in the trust to have driven the good annual performance include payments group Paypal and Irn Bru drinks group AG Barr (BAG). This is the only global equity income investment trust out of a group of six to deliver any positive share price returns in 2018, according to data from Winterflood. 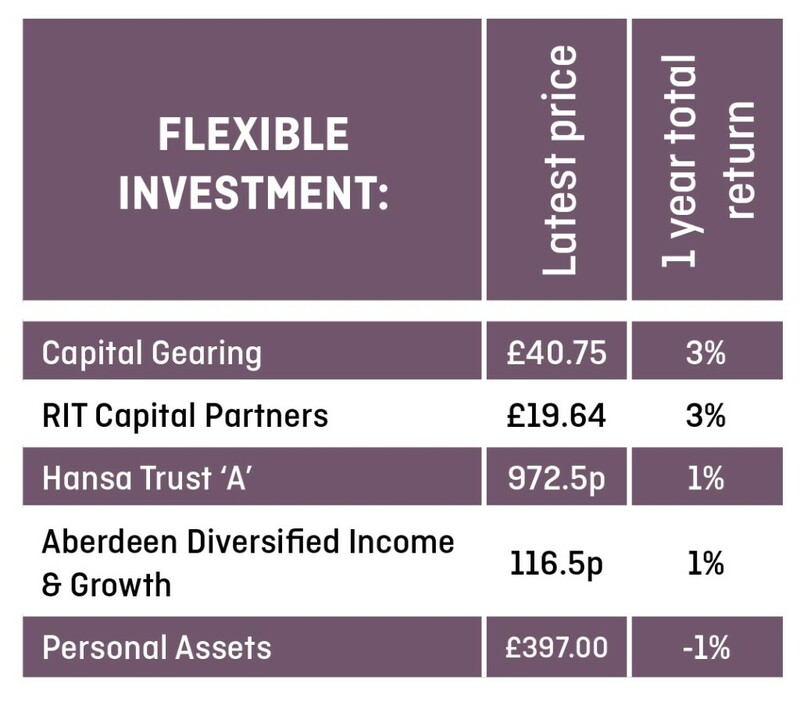 The investment trust aims to grow its dividend faster than inflation. Among the top holdings are Coca-Cola, Johnson & Johnson and UK-listed insurer Admiral (ADM). 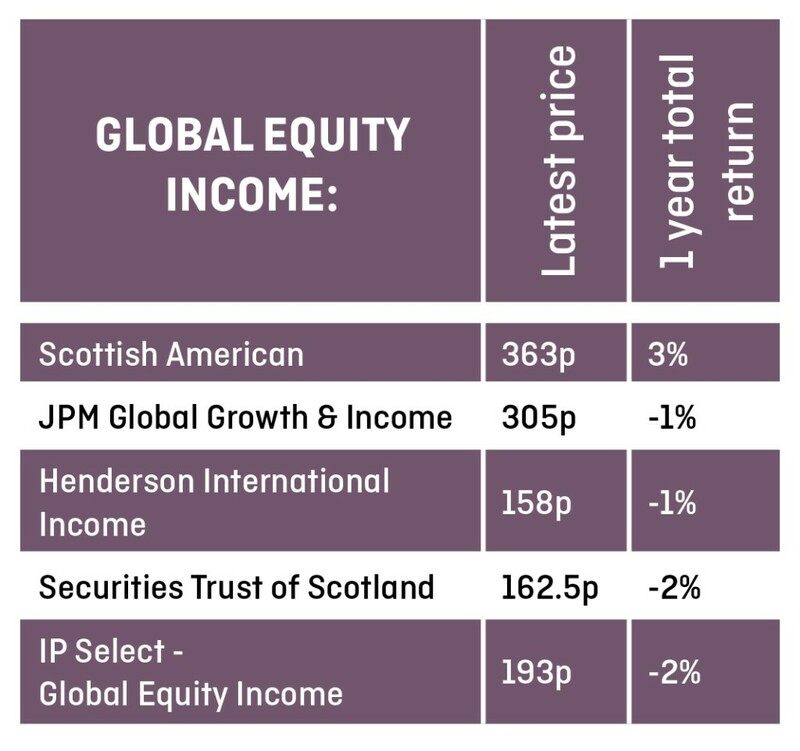 Scottish American’s performance has been helped by dividend growth in global equities with a smaller increase in income from the bond portfolio, comprising 5.8% of its overall holdings. In the first half of 2018, education company Pearson (PSON) and Gucci owner Kering were flagged as star performers. 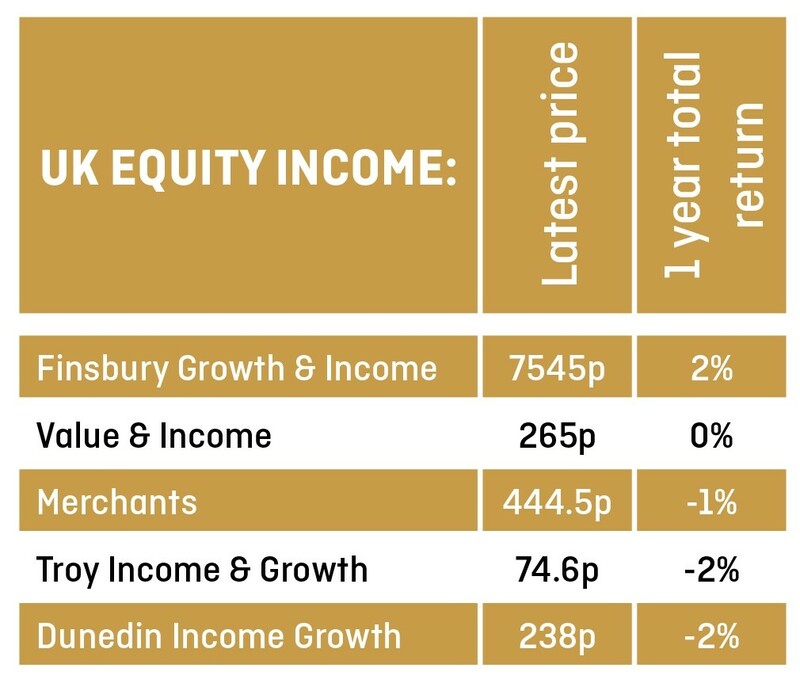 Another fund run by the popular Lindsell Train team, Finsbury Growth & Income has a predominantly UK focus although investors do benefit from some global flexibility. The trust is run along Warren Buffett principles that targets building a concentrated portfolio of what it believes are high quality companies that have strong brands and powerful market presence, typically with pricing power. 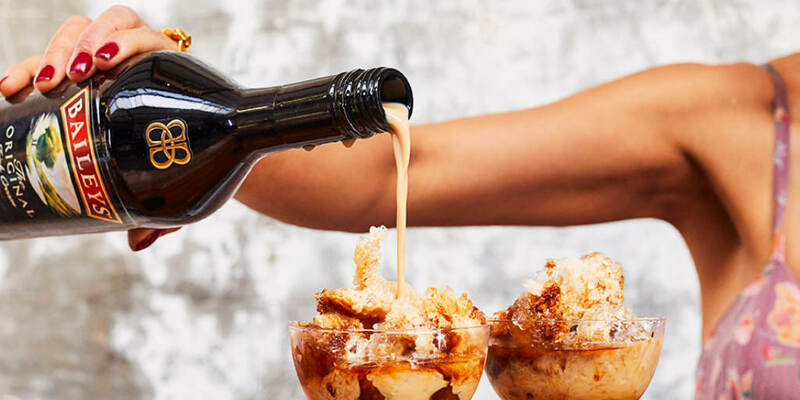 Investors will find household names like Diageo (DGE), which owns various drinks brands including Guinness and Baileys, Unilever (ULVR) and Burberry (BRBY) in the fund, with solid and growing dividends on offer. 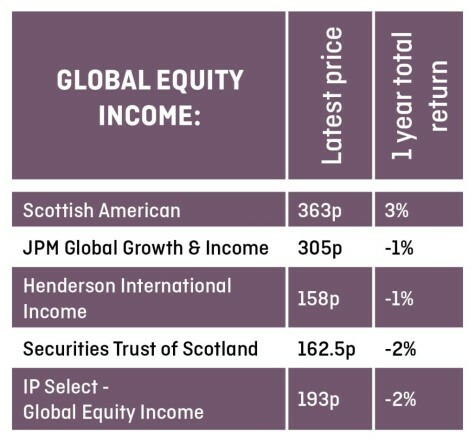 It is the only investment trust in the UK equity income category to put up positive returns over the past year on a total return basis. 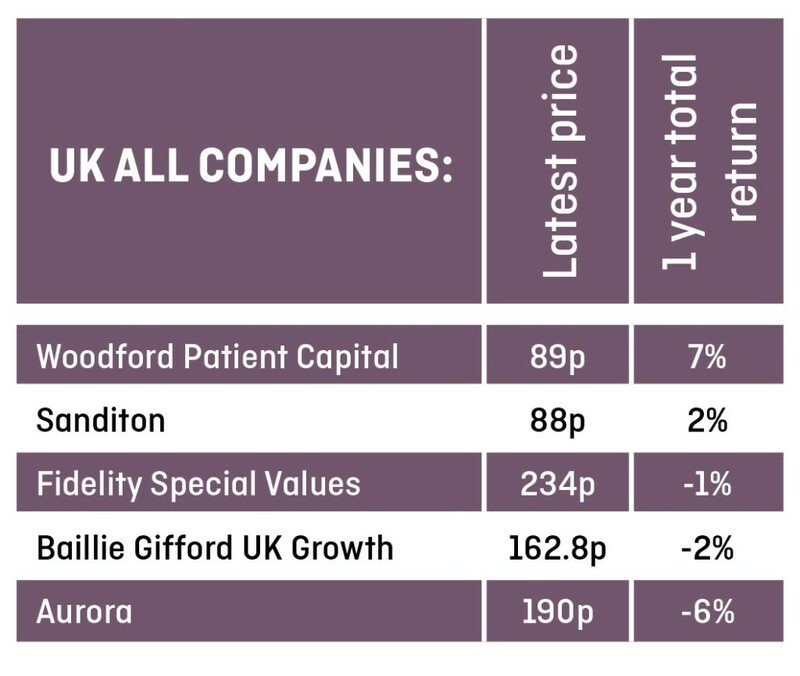 Patient investors have finally been rewarded after a difficult few years for the investment trust. The market previously expressed disappointment over its general performance and a key clinical trial failure from portfolio holding biotech Prothena. The trust enjoyed a reversal of fortunes in 2018 after portfolio holding Industrial Heat, an energy tech firm, benefited from a revaluation uplift of 357% to $112.9m in September and Autolus, another holding, floated on the US NASDAQ index in June. 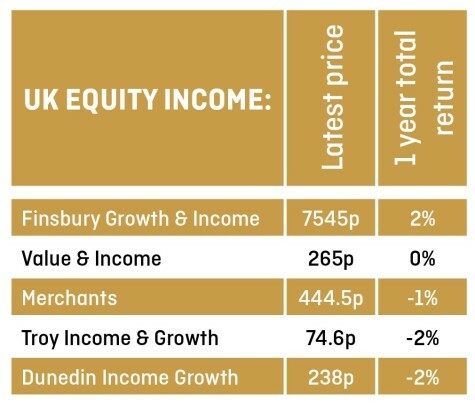 Despite these successes, the investment trust still trades at a 13% discount to NAV at the time of writing. 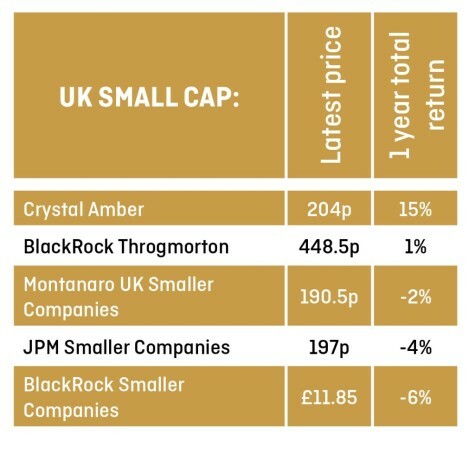 It has been an impressive year for this activist smaller company fund given the modest relative performance of UK stock markets overall. Crystal Amber uses complex stock screening tools and a vast network of industry and financial market contacts to identify opportunities, then tries to provide real support for company management’s in the best interests of all stakeholders. Turnarounds are a big part of the process while a stake in regularly speculated takeover target STV (STV) has played well for the trust’s performance. Flexible investment essentially covers multi-asset and capital preservation funds. The top performer this year was Capital Gearing, which aims to preserve shareholders’ wealth and achieve capital growth. 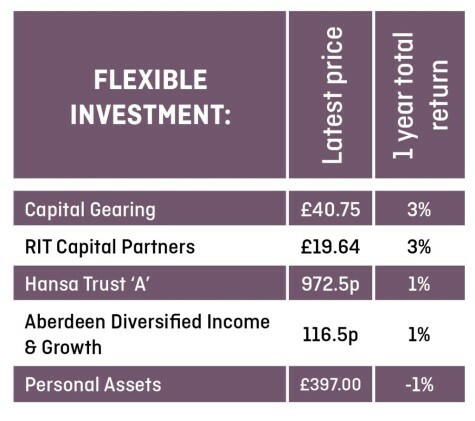 The investment trust has done exactly what it is meant to do – deliver the goods when times are bad. It has not only protected investors’ money, but also helped to grow it by a small amount. That’s to be applauded against a backdrop of falling markets in most parts of the world in 2018. Funds and equities account for 36% of the portfolio with index-linked government bonds comprising 35%. Remaining assets are spread over corporate debt, conventional government bonds, cash and gold. Investors are clearly happy to pay a higher price to access this defensive vehicle as its shares are trading at a 3.3% premium to net asset value. 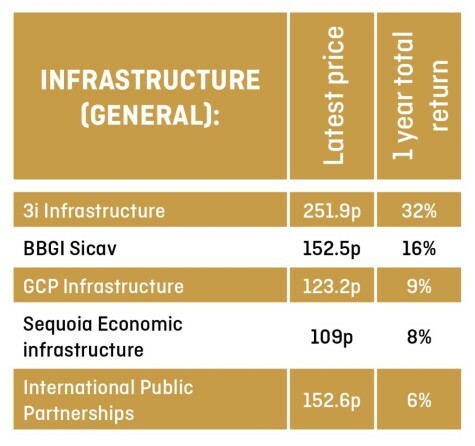 Investing in mobile phone masts, oil tankers, wind farms and airports may be a long way from glamorous but 3i Infrastructure’s strategy is about delivering reliable 8% to 10% annual returns. 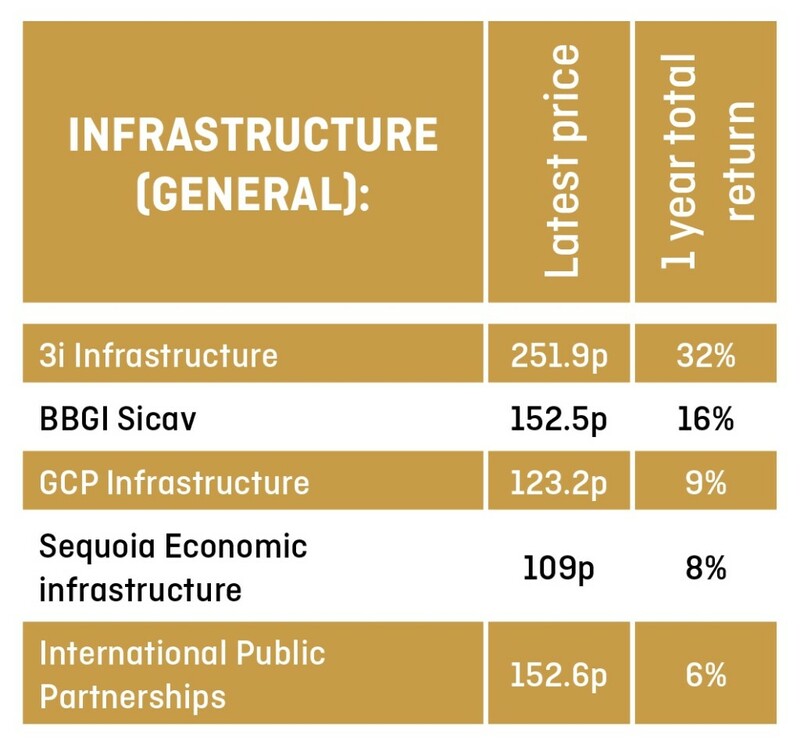 That the trust has put up a 32% total return (share price and dividends combined) over the last year is testament to the fund’s ability to spot and build a pipeline of opportunities, then work closely with portfolio companies to extract top performance. 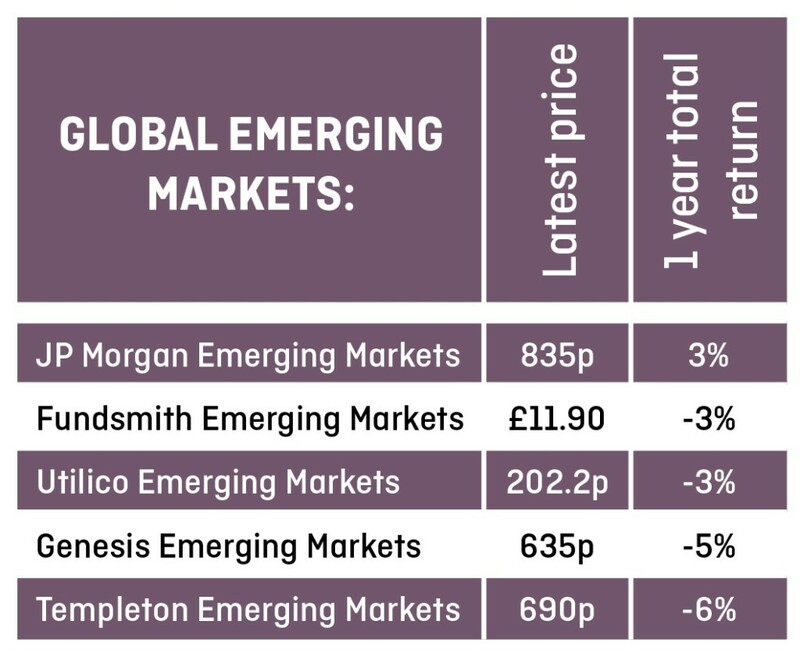 Emerging markets have been out of favour for much of 2018 as US/China trade tensions have rattled on and worries mount over debts in many markets as the dollar soars. 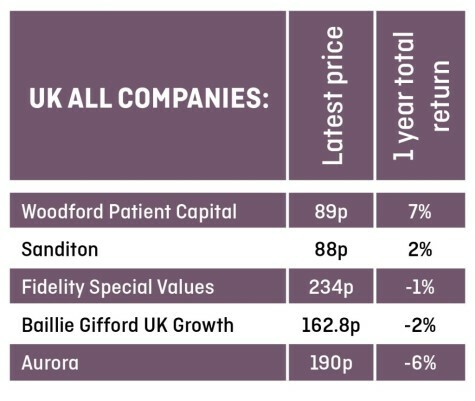 Yet even against these challenges this trust has managed to post positive 12-month returns when others have failed to do so. 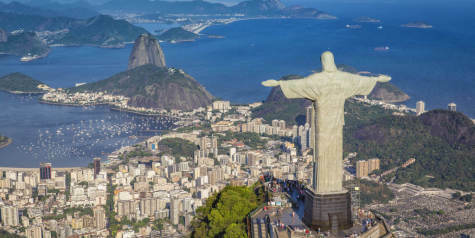 Run by manager Austin Forey, Chinese stocks dragged on performance, but there were better returns from an overweight position in Brazil and general consumer discretionary selections.